The proposals in this White Paper set out how the Government intends to boost housing supply and, over the long term, create a more efficient housing market whose outcomes more closely match the needs and aspirations of all households and which supports wider economic prosperity. The challenge of increasing supply cannot be met by government alone – it is vital to have local leadership and commitment from a wide range of stakeholders, including local authorities, private developers, housing associations, lenders and local communities. We have listened to concerns expressed by many within the housing and planning sector that the pace of change in policy and legislation can make local delivery more difficult. The White Paper addresses this issue by providing a long-term strategy to build the homes the country needs. For local authorities, the Government is offering higher fees and new capacity funding to develop planning departments, simplified plan-making, and more funding for infrastructure. We will make it easier for local authorities to take action against those who do not build out once permissions have been granted. We are interested in the scope for bespoke housing deals to make the most of local innovation. In return, the Government asks local authorities to be as ambitious and innovative as possible to get homes built in their area. All local authorities should develop an up-to-date plan with their communities that meets their housing requirement (or, if that is not possible, to work with neighbouring authorities to ensure it is met), decide applications for development promptly and ensure the homes they have planned for are built out on time. It is crucial that local authorities hold up their end of the bargain. Where they are not making sufficient progress on producing or reviewing their plans, the Government will intervene. And where the number of homes being built is below expectations, the new housing delivery test will ensure that action is taken. For private developers, the Government is offering a planning framework that is more supportive of higher levels of development, with quicker and more effective processing and determination of planning applications, and is exploring an improved approach to developer contributions. In line with the industrial strategy, we will boost productivity, innovation, sustainability and skills by encouraging modern methods of construction in house building. We will encourage greater diversity of homebuilders, by partnering with smaller and medium-sized builders and contractors in the Accelerated Construction programme, and helping small and medium-sized builders access the loan finance they need. In return, the Government expects developers to build more homes, to engage with communities and promote the benefits of development, to focus on design and quality, and to build homes swiftly where permission is granted. Critically, we also expect them to take responsibility for investing in their research and skills base to create more sustainable career paths and genuinely bring forward thousands of new skilled roles. For local communities, the Government is offering a simpler and clearer planning process that makes it easier for them to get involved and shape plans for their area. We will ensure they see the benefits of housing growth and have greater say over the design of local developments. In return, the Government asks communities to accept that more housing is needed if future generations are to have the homes they need at a price they can afford. 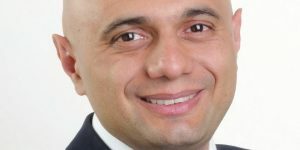 For housing associations and other not-for-profit developers, the Government has already announced funding worth a total of £7.1 billion through an expanded and more flexible Affordable Homes Programme. We will provide clarity over future rent levels. 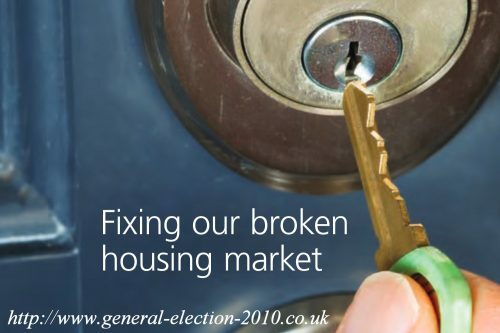 In return, we expect them to build significantly more affordable homes over the current Parliament. For lenders, institutional investors and capital market participants, tthe Government is offering a clear and stable long-term framework for investment, including products for rent. In return we call upon lenders and investors to back developers and social landlords in building more homes. For utility companies and infrastructure providers, the Government is offering a clear framework and simpler plans to help them understand the demands made on them, and is exploring an improved approach to developer contributions to help pay for new infrastructure. In return, the Government expects infrastructure providers to deliver the infrastructure that new housing needs in good time so that development is not delayed. At the heart of the White Paper is the acknowledgement that the housing market is very different in different parts of the country. The Government is already putting in place devolution deals and large-scale strategies, such as the Northern Powerhouse, the Midlands Engine and our modern industrial strategy, that bring together public and private sector leaders across different regions. However, we need a better understanding of the specific local issues that are holding back housing development and economic growth. We need to back mayors and local leaders to deliver in their areas for their communities. We will work with local authorities to understand all the options for increasing the supply of affordable housing. The policies and proposals set out in this White Paper apply to England only. In Scotland, Wales and Northern Ireland, housing and planning policy is the responsibility of the Scottish Government, Welsh Government and Northern Ireland Executive respectively. 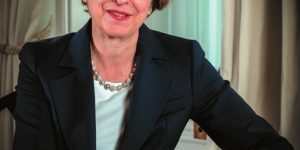 The UK Government retains responsibility for housing and planning policy in England, including funding for England-only bodies such as the Homes and Communities Agency (HCA). The Mayor of London is responsible for the functions of the HCA in London. 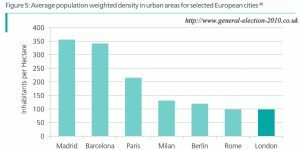 Making better use of land for housing by encouraging higher densities, where appropriate, such as in urban locations where there is high housing demand; and by reviewing space standards. Holding local authorities to account through a new housing delivery test. Doing more to prevent homelessness by supporting households at risk before they reach crisis point as well as reducing rough sleeping. 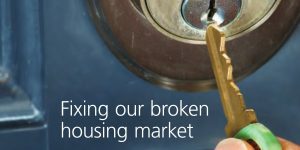 You don’t have to be an expert in housing or construction to know that our property market is broken. You just have to be one of the millions of hardworking people who can’t afford to buy or even rent the kind of safe, secure, affordable home that previous generations have taken for granted. It’s all down to the fact that not enough houses are being built. The reasons for this are many and complex but, as this White Paper shows, they can be tackled. But it’s not something Government can do alone. Local authorities, private developers, housing associations, infrastructure providers, mortgage lenders and local communities all have a role to play. And they’re all supported by measures in this White Paper. None of this constitutes a blank cheque. Where help and investment is offered we expect to see results. That’s why the White Paper also explains how we will take action against developers or authorities that are not pulling their weight. As well as the councils and builders and others, this White Paper will help the one group that matters more than any other: hardworking people who just want to be able to afford a place to call their own. It will help the tenants of today, facing rising rents, unfair fees and insecure tenures. It will help the homeowners of tomorrow, getting more of the right homes built in the right places. And it will help our children and our children’s children by halting decades of declining affordability and fixing our broken housing market for good. It’s a bold, radical vision for housing in this country. Now we must all work together to turn our blueprint into bricks and mortar.